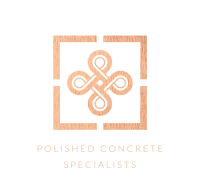 Polished Concrete Specialists were approached to create a seamless bathroom finish, carrying the flooring up to the bath. 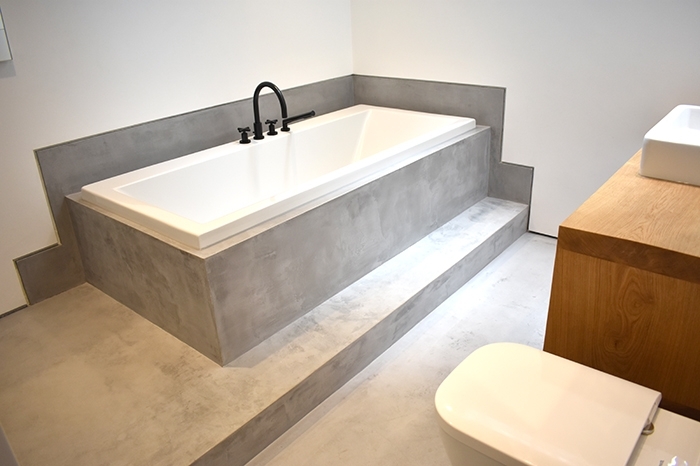 The finished result is a contemporary wet room. 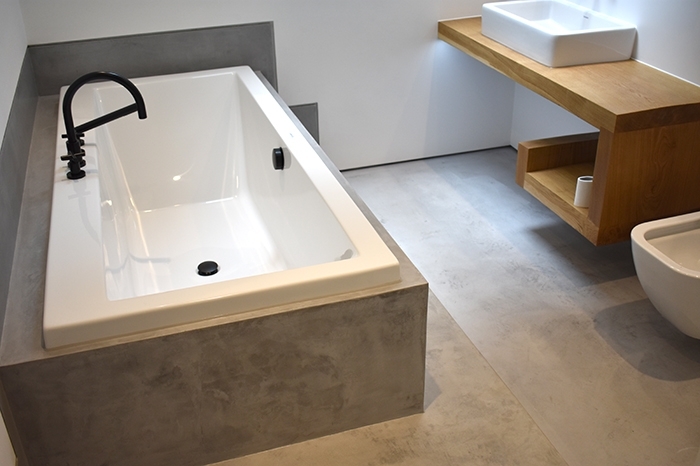 ‘Ideal Work’ microtopping was applied to the floor and the bath surround over a 4 day project period.